Toasted Coconut Flakes are shredded and incorporated into the creamy coconut custard that fills our own graham cracker shell, then sprinkled on top of the coconut flavored cream topping. 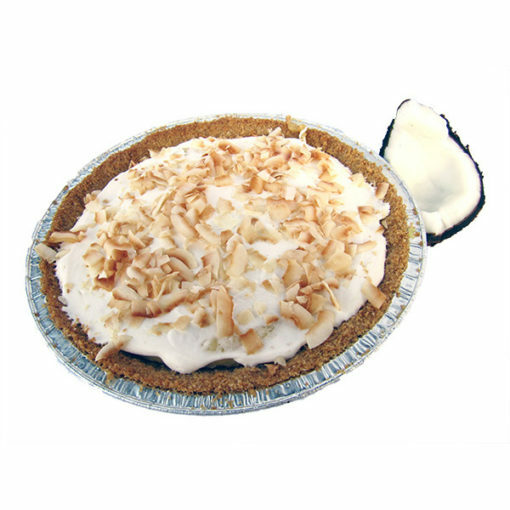 A coconut pie for coconut lovers. Can be combined with Quiche for local delivery.